> Memory – Commit Size – is the amount of virtual memory which is reserved, or committed, for the process. 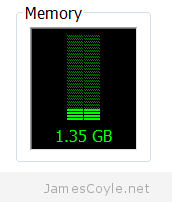 Commit size does not reflect reserved memory. It wouldn’t make much sense if it did. Also, Working Set counts only memory that is resident in RAM.